Words fail me. Seems unusual for a person who loves words, studies words, reads words, and writes words constantly to say that, doesn’t it? So many times, I know how I feel but I can’t find the words to articulate those feelings. Sometimes I believe I have the right words, but when I speak them, I sound selfish, or angry, or hurtful but that’s not how I feel. Then there are times when I don’t know what I feel and can’t find a word to help me out. I don’t know if anyone else has ever had this frustration, but somedays it seems to rule my life. Words make me happy. For me bliss occurs when words placed side-by-side create sheer perfection, vividly illuminating a scene in my mind or bringing feelings–unspoken, even unfelt– to the surface with exact clarification. I love those moments, but find that there are times in my life when words never find their perfect placement. 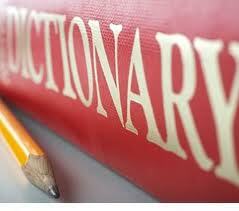 No matter their order on the page, their connotative and denotative meanings are inadequate. So I find comfort in this: “and the Holy Spirit helps us in our weakness. For example, we don’t know what God wants us to pray for. But the Holy Spirit prays for us with groanings that cannot be expressed in words” (Romans 8:26). Beyond the fact that the Holy Spirit prays for us without even using words (true but hard to wrap a human mind around), the Holy Spirit is all-God and that means there’s not a word for which He doesn’t know the definition. He knows all words and the exact moment they need to be placed side by side. Words don’t fail Him. For all of us, there are situations where we can’t find the right words. When a sweet friend loses her husband to cancer; when another friend fights a seemingly unwinable war for her marriage, when even another faces the idea that she’ll never get to have a family. Words fail us. But God, through the Holy Spirit, never has to stop and think of the right words. When I don’t know what to say, He does. All I have to do I go to Him and simply say “See this mess, Lord, can you hear what needs to be said without me even saying it?” And He does. This entry was posted in Uncategorized on September 6, 2011 by aliciachall28. You ALWAYS have the right words for me. I so appreciate you for that.